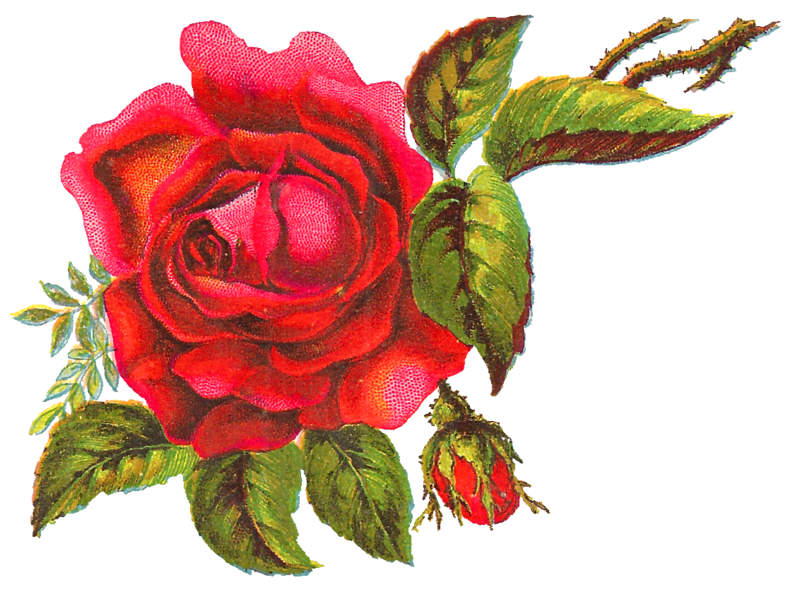 This is a stunningly beautiful digital red rose clip art download created from a Victorian paper scrap. 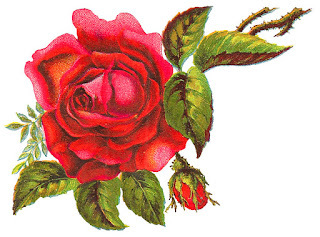 The huge, gorgeously detailed digital rose illustration is perfect for so many crafting projects. 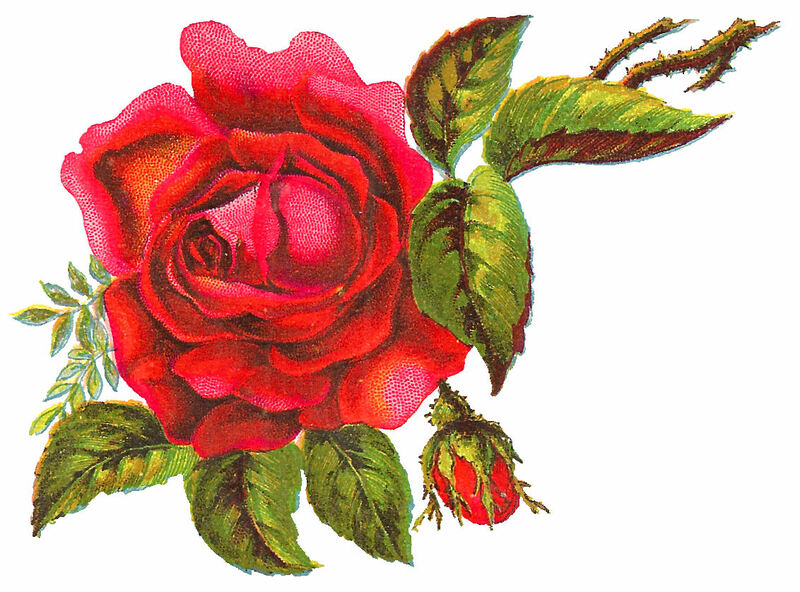 And, the shape of the rose illustration makes it a wonderful design for crafting corner artwork. The big red rose is surrounded by bright leaves, parts of a stem, and a tiny rose bud, making for a visually stunning rose image.